Top Democrats on the House's health-care committees denounced the Trump administration on Friday for a “stunning attack on the rule of law” after the Justice Department declined to defend ObamaCare in court on Thursday. “The Justice Department’s refusal to defend the Affordable Care Act (ObamaCare) in federal court is a stunning attack on the rule of law, the stability of our health care system, and Americans’ access to affordable health care,” said Reps. Bobby Scott (Va.), Frank Pallone Jr. (N.J.) and Richard Neal (Mass.). Democrats are seeking to tie the Justice Department's actions into their argument that the Trump administration is “sabotaging” health care and driving up premiums, a key midterm message. “The administration’s attempt to eliminate protections for the 130 million Americans with pre-existing conditions is just the latest — and potentially the most damaging — example of the coordinated effort by congressional Republicans and the Trump administration to sabotage the Affordable Care Act, driving up uninsured rates and out-of-pocket costs for Americans,” the Democrats said. The Justice Department declined to defend ObamaCare on Thursday night against a lawsuit filed by Texas and 19 other GOP-led states, arguing that central parts of the law are unconstitutional. The Justice Department sided, in large part, with the states, arguing that the law’s protections for people with pre-existing conditions should be invalidated, holding that the individual mandate that people have insurance or face a tax penalty is now unconstitutional. The states argued that because Congress repealed the penalty for not having coverage in last year's tax bill, ObamaCare’s individual mandate can no longer be upheld as a tax and thus should be invalidated. The states also said that protections for people with pre-existing conditions should be overturned because they are not able to be separated from the mandate. Legal experts view that argument's chance of success with deep skepticism, in part, because Congress indicated that the rest of ObamaCare could still stand without the mandate when it moved to repeal the tax penalty last year. Some experts have said that, regardless of how the case is decided, insurers could raise premiums for next year due to the uncertainty surrounding the case — a point echoed by the Democrats. 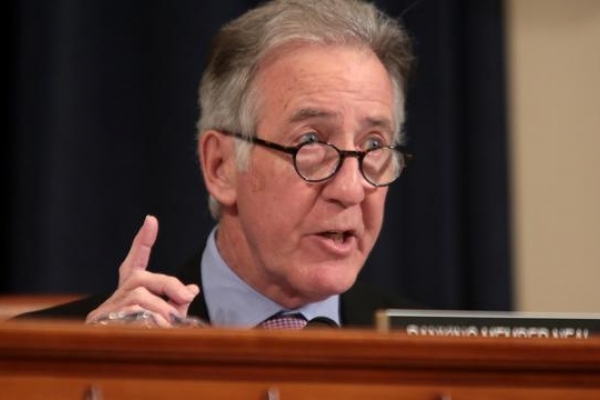 “If the Trump administration is successful in arguing against the constitutionality of protecting patients’ access to care, it will have immediate and disastrous effect on our health care system and the American people,” the Democratic lawmakers said.